Evo Explores is a 3d point-n-click puzzle game where the goal is to have your character reach an orange door exit while navigating through a labyrinth like maze. What make the mazes so unique is they don't follow traditional physics. If a barricade hides a gap between two platforms, you can walk between them, even if you knew that previously there wasn't anything connecting the platforms. Click 'Read More' to read my full experience of the game. 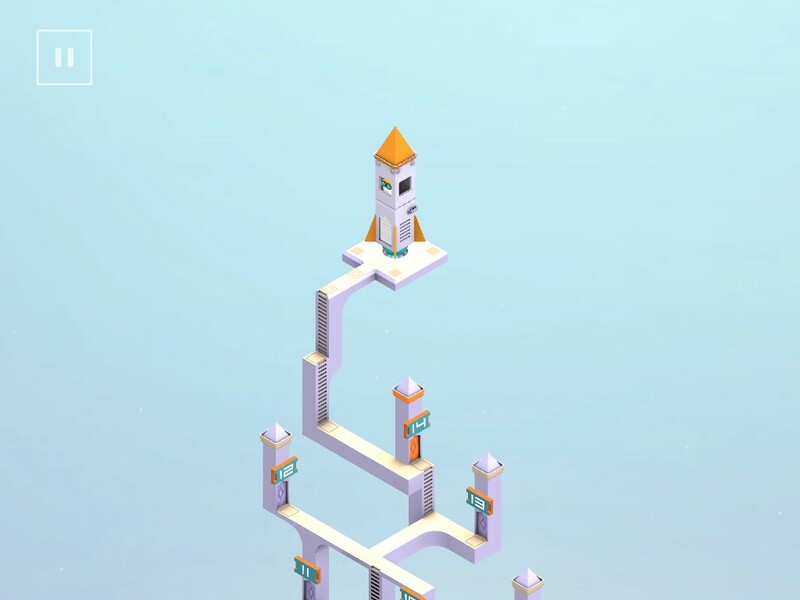 Evo Explores' level design mimics another game that was a heavy inspiration to the team. That game is called Monument Valley. 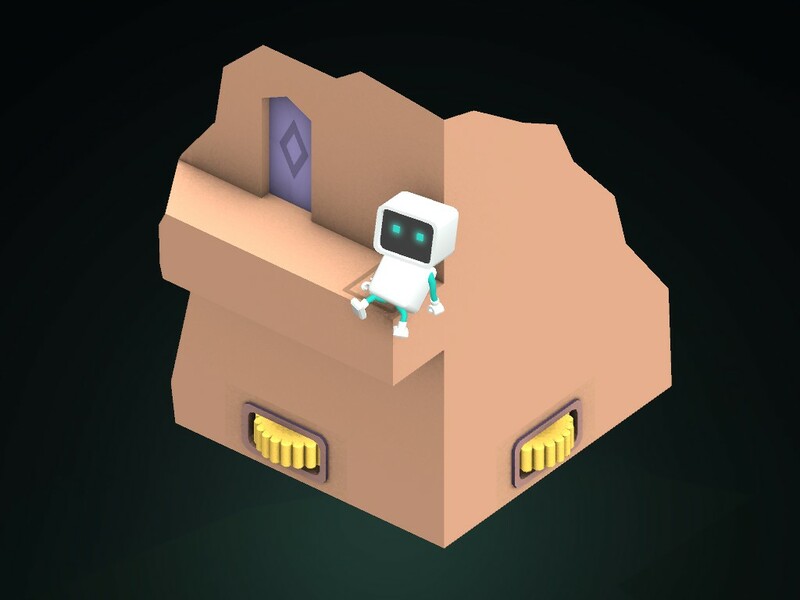 What separates the two is the sci-fi look of Evo Explores as well as the puzzles themselves having some additional elements such as the reversing stairs based on positioning. It's different enough to consider this game a fan mod and I personally prefer this game over the original material. I've seen enough backlash to the developers of this game from players of Monument Valley that I felt it is important to highlight the distinction for anyone else curious about this game. The music invokes a drone and dulling sensation with it's synthesized piano. It's fine if listening through speakers, but headphone users are advised to mute the volume due to the sudden high spikes of reverberating noise. I personally became nauseous after attempting to listen through headphones after about 15 minutes. The sad part about the music is once I turned it off, I completed puzzles faster due to being able to concentrate. 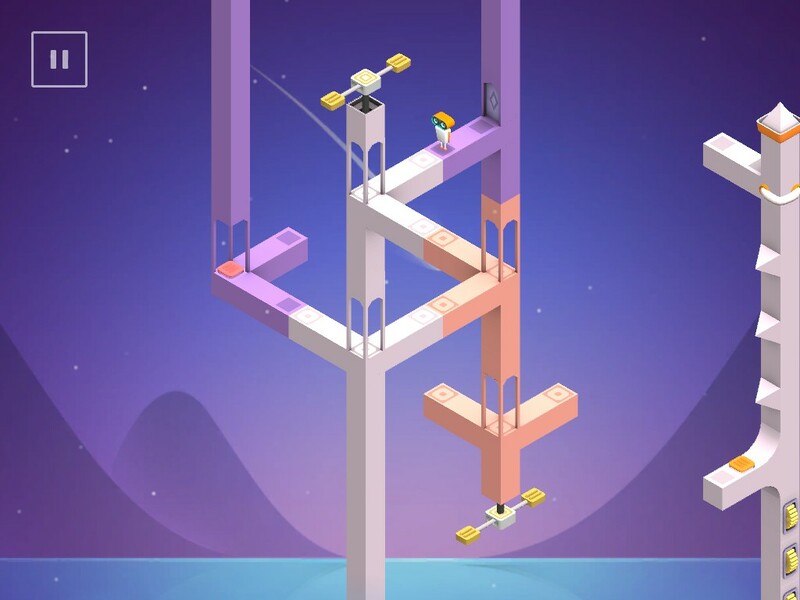 It fails across the board as being a method to inspire the alien sensation of space exploration as well as being a filler to distract any frustration one might have in solving the puzzle. The graphics are very solid, bright, and represent a manufactured city made of a metal-like substance. It complements the story very well as being a believable advance society utilizing their technology to it's fullest potential. Considering you have to see the world the entire time the game is being played, I'm glad such attention to detail was made for the visuals. Altogether there are 45 levels separated across 14 chapters. Each chapter reveals a story portion of the world and quite frankly I do not care at all about it. It's a prolonged explanation about a group of people who transferred their bodies into being robots and something happens to where they shut down. For a story reason I cannot explain, they are revived upon completing all the levels. The plot is almost unnecessary and I'm surprised as to why it was included. The levels themselves are not too difficult once the player understands the three main rules explained in the tutorial. The last 10 levels are where it becomes a challenge, and not for the obvious reason that it would become more complex, but due to new rules being added to the mix that aren't explained well. For example, it isn't clearly explained about the importance of foot placement. Several times I got stuck during a level because I didn't know I had to climb a ladder upside down to reach the end of the stage. Other than that gripe, I enjoyed the expansiveness of the levels as they introduced the game mechanics. For example, as I solved part 1 of a stage, the floor I was on raised and broke into multiple sections I could rotate to maneuver on and eventually reach the exit. Another important thing to mention is you cannot break a level. There are no limited activation items utilized in the puzzles, so never fear about needing to restart a stage. It encourages the player to reassess the current puzzle and experiment. I liked that feature a lot, as it really sunk home the casual and friendly challenge of the game. The downside is that due to the game having no gimmick to require a restart, the stage design as a whole was limited by the 4 mechanics in the game. In conclusion, Evo Explores is a fun 2-3 hours of your time. It won't get your heart racing, and thank goodness for that because it achieves the mellow wonder of exploring a magical world very well. Charming looking screenshots. Also 45 levels is a decent amount of content for that price. Well done.